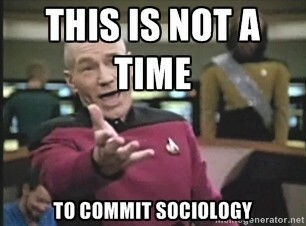 I’ve been tweeting for a little over a year now, and initially I would merely repost Tweets from other people, mainly @jmcclurken about digital technology, MOOCs, and UMW issues, and @familyunequal and @TheSocyCinema about sociological issues. I did this largely because the topics interested me and as a way of saving links that I might return to later and read or use more thoroughly. I refrain from using Twitter for person issues (that’s Facebook’s role for me) although some of those creep in once and a while. I’d like to use Twitter more for almost purely academic issues — meeting and Tweeting people in my field, finding out more about digital resources related to sociology. I’d also like to figure out how to use it more while teaching. Two things I have just started doing. I’ve learned that @jmcclurken and other colleagues often use Twitter to keep notes and share with others what they are hearing at conferences. I thought that was pretty cool and will try it at my next conference. Second, I Tweeted my thoughts during the Superbowl. I assigned the students in my Popular Culture class to watch the Superbowl, and to prepare some remarks about who they were with, what they did, what people wore and ate, and especially what they thought about the commercials and the half time show. Then I watched the game (first half anyway) and tweeted as a way of collected my thoughts and related to things sociological. One of my students actually emailed me during the game about what to do, and I told her I was Tweeting so she could follow along. “I don’t Tweet,” she said. So much for that. But I did show the Tweets during class and we discussed my stream of consciousness as part of their other observations. It was pretty fun. I'm going to be tweeting about the Super Bowl (sociologically of course). What I love about Twitter is its an open conversation and often helps me visual my network in ways that I couldn’t before. It’s also fun to call out for help and info—the crowdsourcing vision Martin Weller talks about in the “Pedagogy of Abundance” is made possible through this space.